What is it like to be an immigrant? Click on the video to hear Sra. Principe-Franco's personal experience. From 1892 to 1954 over twelve million immigrants entered the US through the portal of Ellis Island, a small island in New York Harbor. You can tell by the bright colors and bustling streets, there's never a dull moment in La Boca. La Boca is a quaint town known for being the tourist hot-spot of Buenos Aires, Argentina. We had the pleasure of actually visiting this historic site for ourselves over the course of April vacation. The streets being filled with antique shops, restaurants, and dancing are something one truly doesn't understand the greatness of until they experience it. La Boca is one of if not the most touristy areas in Argentina, because it once served the purpose of an immigration port for people who wished to live in Argentina. For this reason the area is known for its very strong European influence and its cultural diversity. The Dutch began immigrating to Manhattan in 1609. Henry Hudson led this voyage on his ship Half Moon with the support of the Dutch East India Company, along with a crew of twenty Dutch and English sailors. The initial reason for the hiring of Hudson was to find a northeast, all-water route to Asia. With the monopoly he Dutch East India Company had on trade, they wanted to shorten the lengthy and expensive voyage around the Cape of Good Hope. The English first settled in the Village of Southampton in June 12,1640. A small group of English Puritans who set sail from Lynn, Massachusetts landed on what is now known as Conscience Point. It is the oldest English settlement in the state of New York and is named after the British Earl of Southampton. There is a dispute of where the first village settled, some believe it was South Hold while others say its South Hampton. From roughly 1880-1914 there was a mass amount of Jewish immigrants that came to America, even more specifically New York. Eastern European Jews that came through Ellis Island usually ended up staying by New York Harbor on the east side and in Newport (cosmopolitan port cities where opportunity for commerce and trade were prominent). This accounts for New York having the highest Jewish population in the US around this time. The setting of older Jewish immigrants in communities throughout New York made the newer immigrants feel more at home. This is often the case with most immigrant groups, people from the same country try to stick together so their new location seems a bit less foreign. We can credit our exposure to different cultures and traditions to these immigrants. When the Jewish people began immigrating there was a very poor, low class standard that became associated with their communities. New York at this time, much like today, was one of the main centers of the dressing industry which the Jewish people used to their advantage. As early as the 1880s, 65% of the Jews that had immigrated were involved in the dressing and textile industry. The reasons for this were mainly because this industry had many open job positions as well as the fact that the Jewish people prior to living in the US had knowledge in the textile industry. In addition to this, the textile industry was also a family friendly business. This reserved family connections and eliminated the need to work on Saturdays. Based on their origins we are able to see and better understand the Jewish people's "rag to riches" uprising. African American immigration was quite different from other countries of Caucasian descent because the African Americans were forced to move to America from the Trans-Atlantic Slave Trade. 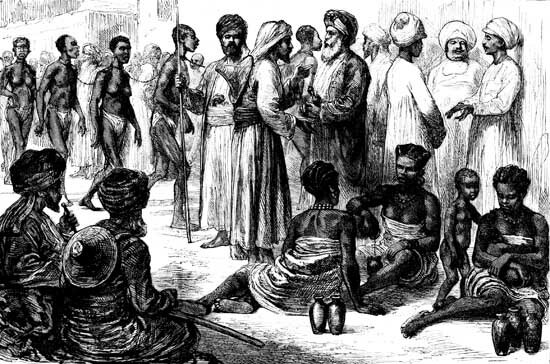 The slave trade began when the British needed to put together a work force in their colonies. 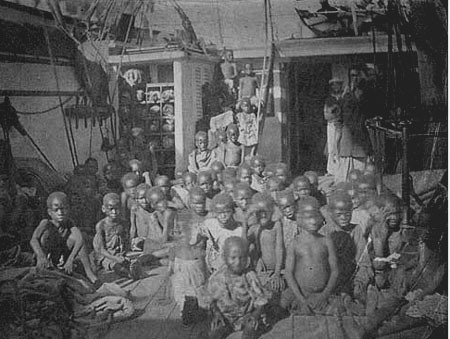 Africans were captured and forced on to ships that brought them to America to work as slaves. 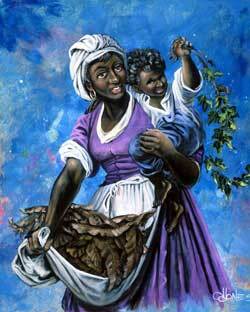 From 1492 to 1776, it is estimated that nearly six and a half million Africans were brought over to the Americas against their will. Those of African descent were targeted specifically due to their excellent work ethic as well as their experience with agriculture and livestock. Their appearance, being of different skin tone, seemed to have set them aside as outcast which Caucasian people felt gave them the right to treat them poorly. 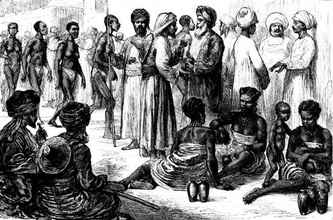 Slave trade proved to be a prosperous business that generated money through the usage/selling slaves, and it laid the foundation for modern capitalism. click on all images below to get a closer look! Life was far from pleasant for these African Americans. After being forced out of their homes, from their families and friends, they were worked until it hurt, and then some more. Just to paint a picture, working hours and conditions that these laborers endured would be illegal and would most likely result in the imprisoning or punishment of the employer. They often lived in tight, unsanitary quarters that they shared with the other people they worked with. The word scarce would be an understatement when referring to the amount of food and other amenities these people received. 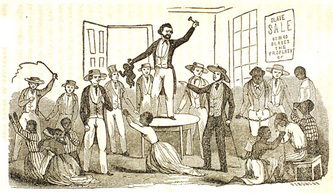 This poor treatment eventually led to the Abolitionist movements which became popular in the 1800's. These Abolitionists would fight for the rights of the African Americans that were treated so horribly in an effort to get new laws passed granting their freedom. In 1863, amidst the horrors of the Civil War, Abraham Lincoln issued the Emancipation Proclamation that declared all men as created equal with the thirteenth amendment stating the same soon to follow. Unfortunately this was far from the end for the unfair treatment and alienation of African Americans. Segregation became a huge issue specifically after the Civil War, which shows the insignificant impact the thirteenth amendment really had. Because the law was put in place legislatures, mainly in the South try to put new laws in to place that work around the amendment as best it can. 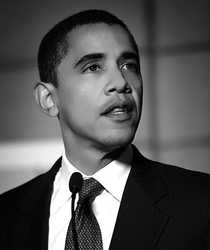 The Black Codes and Jim Crow Laws, for example were created right after the war to limit people simply with darker skin to as few rights as possible as well as to provide separate public facilities based on skin color. 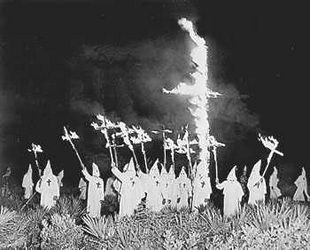 Their were also many radical groups that formed, the most famous being the KKK, which went around and killed African Americans as well as Caucasians who supported their rights just to make sure they had no say in important affairs. Another problem that led to the inability to contain this horrible behavior was that high officials, such as police, were prejudiced despite what the law had said and would allow people to get away with these criminal acts. 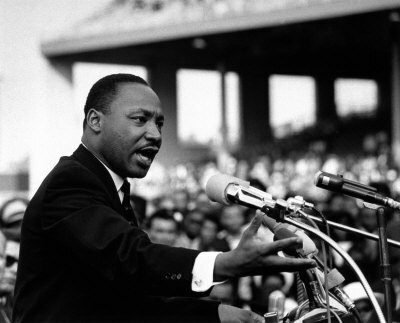 In 1963, a Civil rights activist named Martin Luther King Jr. delivered his "I Have A Dream" speech in front of the Lincoln Memorial. 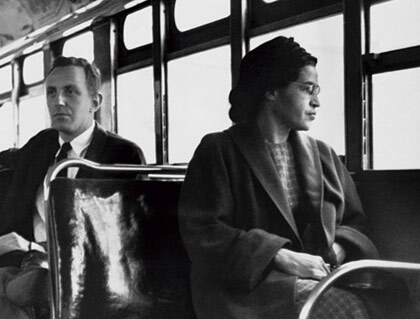 Thanks to the public spreading of his ideas as well as the others who fought for the cause segregation was eventually lifted and deemed illegal. Today, we are fortunate enough that the policies associated with segregation have been abolished however people's prejudice mind set is far from nonexistent. Their are many today who are not only prejudice to African Americans but to multiple nationalities, or better worded, anyone who appears in any way different than themselves. This is a very negative mind set to be stuck with and we need to break these poor judgement habits from one generation to the next in order to keep history from repeating itself. 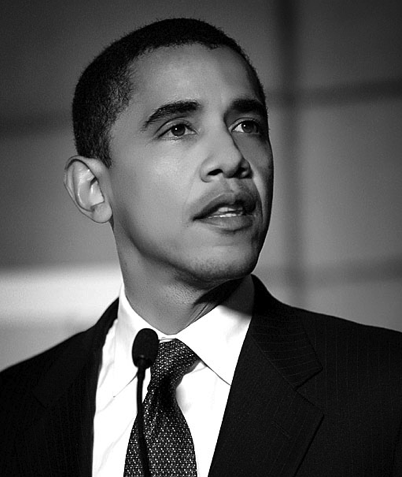 It is believed by many that we are headed in the right direction with Barack Obama, now being the first African American black president, I sure do hope they're right! Watch this interview with Mr. Clarke to learn more about immigration and the origins of history overall.